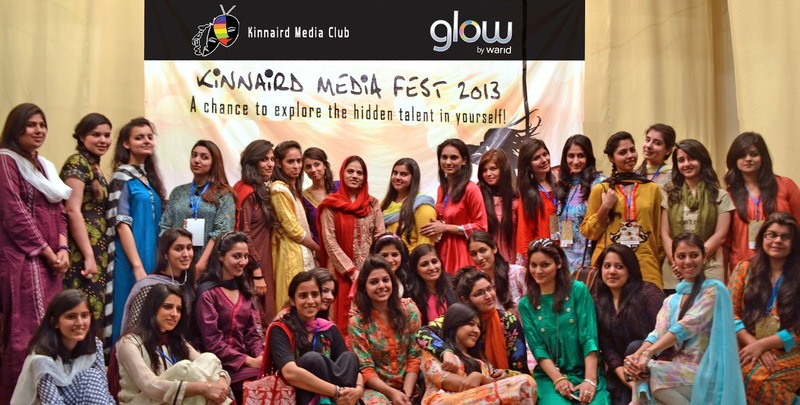 Glow by Warid, Pakistan’s premier youth brand, continued its mission of engaging and enabling the youth of Pakistan by sponsoring the second Media Fest of Kinnaird College for women. The Media Fest was organized to allow students, aiming to major in media studies, to unleash their talent. The two day fest was organized by the Kinnaird Media Society. Teams from Punjab University, Government College University, University of Engineering and Technology, FAST, SIMS, Beacon House School and Green School participated in the event. The short films competition was won by UET while Government College took home the winning prize in the print advertisement competition; WWF’s team was declared the runners-up. Glow by Warid has always strived to provide a platform to Pakistan’s youth through which they can express their talent. Glow by Warid’s support in conducting this Media fest is yet another step towards enabling Pakistan’s youth, which was also appreciated by the Kinnaird Media Society. Warid Telecom, leading the way of innovation in Pakistan’s Telecom industry, has introduced another industry first with its latest mobile internet service for its valued clients, Mobile Internet Share. This service allows Warid Prepaid customers to gift mobile internet bundles to a friend or family member at astonishingly low rates. Customers will be able to purchase 10MB and 100MB buckets for Rs.30 and Rs 99.99 respectively by sending the mobile number and amount via SMS to 7777. To use Mobile Internet Share a customer will send XXMB in an SMS to 7777 (e.g. 100MB0321xxxxxxx). This is another exciting offer from Warid in its continuing commitment to provide innovative services to its valued customers and reflects the company’s persistence in developing products that accurately reflect the needs of the market. It’s been an exciting start to the New Year and now we’re at the end of the first quarter of 2013 with a number of successes behind us and more in the future. In another major commercial deal for this year Wateen Telecom recently won another deal from KASB to connect 55 branches for them on top of the first phase of connecting 24 branches. With this award, Wateen is now providing connectivity to 79 out KASBs 104 branches around Pakistan. Wateen is also engaged in other dark fiber and Network management monitoring services projects with the bank and is working closely to provide highly effective and optimised solutions. KASB is one of Pakistan’s leading investment and commercial banks with 30 years of experience in financial and investment markets. It is a significant achievement that a bank of KASBs quality continues to choose Wateen Telecom as its partner in the expansion, management and upgrading of its existing network and shows the trust that Wateen has built with its partners and customer by providing timely and efficient roll out of projects. Wateen’s expansive fiber foot-print, which spans more than 13,000km across Pakistan, and its high quality standards through state of the art technology make it the preferred choice of large enterprises looking for a trusted and reliable partner. This past week and the next two weeks was and will be a challenging time for users and providers alike who use the internet. Three international sea cables (SEMEWE4, IMEWE and EIG) that provide the majority of digital communication between Asia to Europe were cut. The two Pakistan international communication gateway companies that provide internet backhauling services to all the ISPs of Pakistan, PTCL and TWA, both depend on these cables for international communication and therefore internet bandwidth coming into Pakistan dropped to 40%. It is expected to take up to 3 weeks or more before the ships dispatched to fix the problems are able to get the cables operational again. This event coupled with the recent global DDOS attack attributed to a company in Amsterdam which almost crippled the global internet puts a spotlight on the risks involved with internet companies that cater to Pakistan’s 30 million strong internet community but host all their content internationally. Until recently, hosting internationally made sense – Pakistan’s internet community was not big enough to justify focus on the market, the datacenters and support facilities were not at international standards and costs were 3-5 times that available internationally. Therefore most content providers hosted their content abroad and many did not even bother to setup caching or backup-sites domestically. “When you look at the high quality of datacenter facilities now available locally, and the recent decline in prices, factor in average internet connection latency reduced from above 300ms to sub 20ms, and add in the advantages of local access and support, the case for international and domestic content providers to host in Pakistan becomes too strong to ignore”, says Salman Ansari, President SAATC, one of Pakistan’s foremost IT and telecommunication consultants. A case in point is the popular job portal, ROZEE.PK. It is visited by over 60% of the country’s Internet users annually. To service its 16 Million annual unique visitors, it requires 45 fault tolerant load balanced servers. Previously, it used to collocate its entire server farm between Silicon Valley and Germany since datacenters in Pakistan were expensive and did not offer the required worry free support. “Transworld’s decision to provide datacenter services at their internet gateway node was a game changer for us”, says Monis Rahman, Chairman and CEO of ROZEE.PK. “The world class facility allowed us to lower latency by a factor of 10 and we have the ability to service our Pakistan clients even if there is a major internet crisis such as the one that occurred last week. 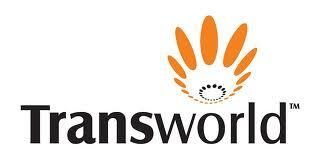 Our servers have stayed humming while providing a better usability experience to our customers”. With local and international content providers that focus on Pakistan’s internet community now able to leverage advanced hosting platforms like the TWA Datacenter, it is hoped that more internet based applications and services will henceforth be available to the population. Internet can be a powerful and cost effective medium for solving the education, health, e-commerce, e-government and other problems of Pakistan. Wateen Telecom successfully concluded its participation in the Nutshell Forum on Collaborating for Change, that was held in Karachi on the 2nd and 3rd of April 2013. Wateen Telecom was a gold sponsor for the event this year. The forum was a cross-border initiative to bring together the best corporate minds from across the sub-continent and breed a spirit of sharing and cooperation among them. The conference included keynote speeches by a number of prominent corporate executives from India and Pakistan including Wateen Telecom’s Chief Transformation Officer Asad Rezzvi. This Conference was directed by Dr. Upali Mahanama – Srilanka, Conference Director, and Author of Marketing Skills in Management. More than 500 delegates attended the forum from different countries in the South Asian region and Wateen Telecom Chief Transformation Officer Asad Rezzvi represented Wateen as a panelist and a speaker at the event. The forum opened with an address by Mohammad Azfar Ahsan, the CEO of the Nutshell forum and was followed by a number of addresses by prominent personalities including former Finance MinIster Shaukat Tareen who spoke about Collaborating for Change. He was followed by Rajeev Dubay, President of Mahindra & Mahindra who spoke about “Unleashing human potential”. A number of other speakers followed including Former Minister of Science and Technology, Prof. Atta ur Rahman, who spoke about “Unleashing your Creative Potential”, and Chairman Accenture India, Avinash Vashistha who spoke about “Imagineering the Future, Disruptive Innovation for Sensible Growth”. Following the themes of unleashing the inner potential of people and organizations, Wateen Telecom’s Asad Rezzvi spoke about “The Challenge of Transformation – A Test of Leadership”. He shared his experience in transformation of Wateen Telecom and shed light on the challenges Wateen faced during the transformation. 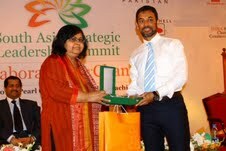 He also talked about the Human values in an organization and how one can achieve excellence in profitability. The forum ended with an address by Chief Guest Dr. Adeebul Hasan Rizvi, Founder SIUT, whose topic was “Value of Leadership for Society”. Warid Telecom, leading the way of innovation in Pakistan’s telecom industry, brings another fascinating service for its customers; “Postpaid To Postpaid Balance Transfer”. This service will allow Warid Telecom’s postpaid customers to share balance with each other. “Postpaid to Postpaid Balance Transfer” service is yet another industry first by Warid Telecom. Through this service Warid Telecom’s postpaid customers can share their balance with other Warid postpaid customers by sending “BRecipient NumberTransfer Amount” to 2424. This service is in line with Warid Telecom’s focus to continuously provide innovative services for the convenience of its valued Customers. Warid Telecom already provides its customers with Prepaid to Prepaid and Postpaid to Prepaid Balance Transfer services. The recent addition of Postpaid to Postpaid Balance Transfer is further evidence of Warid Telecom’s innovative and customer centric approach.